It is the weekend and what better way to enjoy it than to experience a discounted Microsoft Surface Pro 2017 model. The base model used to cost $799 but Microsoft’s discount means that that the Windows 10-powered tablet is going for $599. This particular comes with an Intel Core m3 processor coupled with 4GB of RAM, and 128GB of SSD storage. Now, if this is not what you wanted in terms of RAM, firepower, and storage, then Microsoft has another treat waiting for you. All models belonging to the Surface Pro 2017 are discounted. This means that even if you pick up the variant that features 16GB of RAM, with 1TB of PCIe SSD storage and an i7 processor, it will give you a savings of $200, though the actual product is quite expensive for a Windows 10-powered tablet. Sadly, you will have to purchase the keyboard accessory separately, or if you have a Bluetooth-enabled keyboard present you can take advantage of that as well. 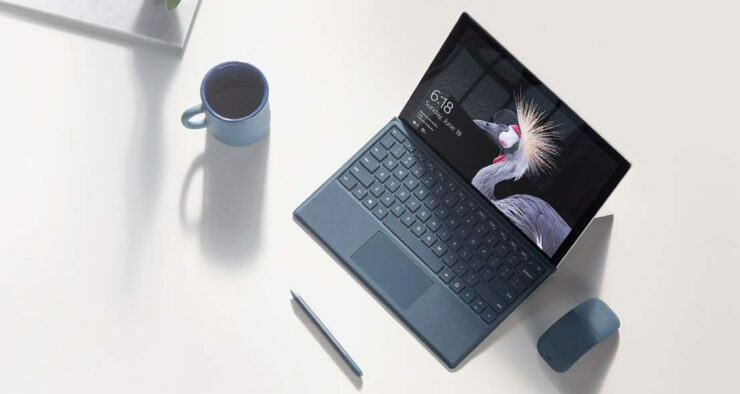 If you’d like to wait, Microsoft is planning a redesigned Surface Pro 6, which we feel is going to feature Intel’s 10nm Cannonlake processors for improved performance and battery life. Though the slate is expected to arrive in 2019, we’ve listed our predictions in the article linked below, so you can check it out whenever you want. Still, $599 for a premium Surface Pro 2017 model does not seem like a bad deal.